Friday night I led a church drama team in a workshop in which we created a sketch from scratch through sociodrama. I guess the woman who runs their drama troupe was getting all these questions she couldn't answer like, "How long will it be?" "How much of the stage will you use?" "How many people will be in it?" We took the passage of scripture the pastor gave us, and through the structured improv of sociodrama we created a sketch that was so ideal to the sermon that when the sketch was over the pastor said, "Well, that was the sermon. You can all go home." He went on to preach a brilliant sermon, but he alluded to the sketch no less than five times through the course of the sermon. I was SO proud of them! Every single person contributed something to the script. They're all listed as playwrights. The Treasure Seekers -- our new Children's Church for ages 5 through 10 -- starts this coming Sunday, Oct. 14. Bring your children to join in the search for the Treasure who lasts! A Moving Up Ceremony for those in our nursery program will take place during the main service. Following that, the children will be dismissed into their new class where they will meet Treasure Seekers and start their Great Adventure in the Word! Service time is 11 a.m. at the Crowne Plaza, 66 Hale Ave., in White Plains, NY. And the winner of our favorite character poll is... Jasper Chase! Though it's a shame that today's outdoor service and picnic was canceled, it is the last day of Sukkot, the Hebrew Feast of Tabernacles described in Nehemiah 8. During the days of feasting one of the prayers is for rain! So Lord, we thank you for answered prayer! We praise You for a new way to meet with You. Pastor Joyce went ahead and preached the sermon she prepared on I Corinthians 13:7 and I Peter 4:12-19. The worship line-up that Bill H. prepared is below. You can fulfill one of the lines: "May our homes be filled with dancing!" Gather as a family, worship and be encouraged. Opening and closing comments and prayers are by Rich Swingle. 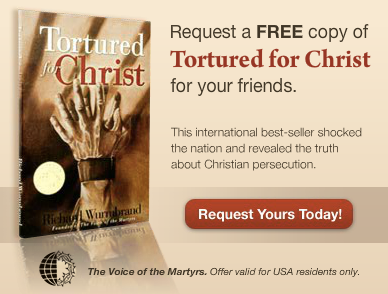 You can order the book Rich mentioned in his closing comments, Tortured for Christ, for free by clicking the box below. Tracy Trost, who directed me in A Christmas Snow, is going to be a part of this amazing outreach to Honduras on July 20, 2013. They'll have 18 prayer rallies in 18 large venues in 18 states simultaneously. But there will be months of outreach leading up to that day. I have friends from Honduras who report that it has gotten much worse since I was there in 2005. You can read my journal from that trip here.